Capacity building is a key focus for The Tindall Foundation. Over the last six years, we have worked with organisations to fund them to build their capacity so they can grow, develop and become more efficient. There have been some fantastic success stories of organisations that have experienced real benefit from being part of the programme. Here are two organisations who can share what they have achieved as a result. New Foundations Trust received capacity building to carry out a strategic review and systems overhaul in order to build a foundation for growth. As a result New Foundations Trust began to think bigger and push the boundaries more. They could work more effectively to manage future challenges with a basketful of resources and increased confidence. Sue Dickens, General Manager at New Foundations Trust, raved about the process. “The value of the capacity building package is worth more to us than all the money we have had to date. We now have knowledge, processes, tools and so much more confidence in who we are. We have been taught how to feed ourselves. It was like someone from the outside breaking an egg and looking inside. 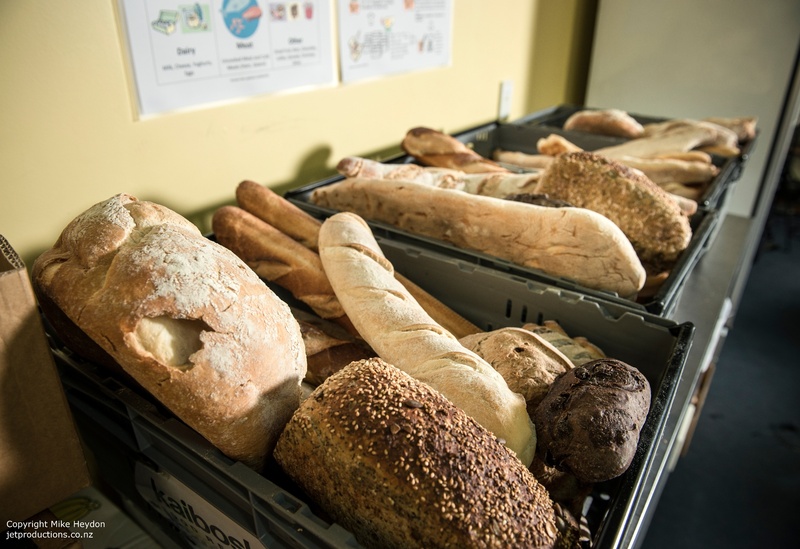 Wellington based food rescue charity, Kaibosh, completed the capacity building programme in 2012. The team involved described it as a “quality life changing makeover from the heart”. It happened at an ideal time, as the organisation was going through rapid growth. With the help of a consultant, Kaibosh developed a strategic plan, setting out what the organisation would look like in three years time, and the initiatives and resources they needed to get there. They also developed a business plan and revised their organisational structure. Li Ling Ho from Kaibosh describes what they got out of the programme, “We were thrilled with the process and the outcome. We got to sit down and look at our big dreams and ideas of what we wanted to achieve. We realised we needed to structure our organisation to better fulfil that, and we looked very frankly at ourselves and the way we were doing things. “Sue Driver, our consultant, asked big questions of us and challenged us to focus on what we were already doing really well, which is food rescue, and how to be realistic about what more we could do. It was a real transformation – we wouldn’t be where we are now if it wasn’t for the capacity building. It was a makeover! The Tindall Foundation offers funding for capacity building to organisations that have already received our donations. Through NFPWorks, we link organisations with experts and highly skilled advisers. These consultants work in key areas such as strategic planning, organisation re-structuring, governance, fundraising, marketing and income diversification, operational or financial systems, information technology and human resources. Advisers work closely with the organisation for six months. Monitoring and evaluation of outcomes takes place at the end and is repeated to assess maintenance and further gains a year later. We started out by running a pilot programme called SCOPE from 2006 – 2008 because we wanted to test the model and ensure it was robust. We took the programme live in 2009 with the help of Margot Nicholson from NFPWorks. Between the pilot programme, and funding given to NFPWorks, we have donated over $1.7 million to this capacity building programme. This money has helped helping 127 small community organisations from Auckland, Northland, Wellington and Dunedin to complete tailored capacity building packages.